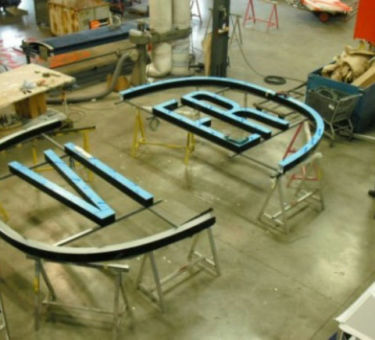 Despite concrete interest shown by several broadcasters, the newly established company concludes on an exclusive agreement with the public broadcasting network. 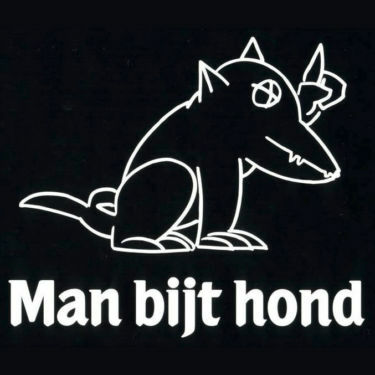 On the 1st of September 1997, the first program by Woestijnvis is broadcasted, 'Man bijt hond'. The daily show becomes an understanding in Flanders and the symbol of the long term vision of Woestijnvis. On the 18th of October 2004, a milestone is set as the program reaches more than one million viewers for the first time. In its first year, Woestijnvis also produces 'Alles kan beter' and 'De commissie Wyndaele' besides 'Man bijt hond'. 'Alles kan beter' features newcomers Rob Vanoudenhoven and Guy Mortier, alongside creator and presenter Mark Uytterhoeven. The series is directed by Jan Eelen. During the course of it's existence, Woestijnvis has explored a wide range of television genres. Late night shows like 'De laatste show', reality with 'De Mol', quiz programs like 'De slimste mens ter wereld' and 'De pappenheimers', sunday evening shows like 'De XII werken van Vanoudenhoven' and 'De jaren stillekes', studio programs like 'Scheire en de schepping'. But just as well Canvas programs as 'Belga Sport' and 'Nonkel Pater' and documentaries as 'Geel', 'Terug naar Siberië', 'De rechtbank' and 'In godsnaam'. Woestijnvis also produces fiction series such as 'De Parelvissers' and 'Van vlees en bloed'. After the start of VIER, Woestijnvis keeps on operating on a similar scale. With new, strongly developed human interest programs like 'De recherche', 'Topdokters', 'Hotel Römantiek' and studio programs such as 'De Kruitfabriek' and 'De ideale wereld'. Tom Lenaerts signed in for 'Met Man en Macht' and Jan Eelen for the fiction series 'Callboys'. In the meanwhile Woestijnvis also joined forces with VRT once more, with programs like 'De Klas' and 'Alles voor de koers'. Over the course of its existence, Woestijnvis (Desertfish) has explored a wide range of television genres. Late night shows like The last show, reality with The Mole, quiz programs like The Smartest Man in the World and De Pappenheimers, Sunday evening programs with The XII works of Vanoudenhoven and The Still Life, but as well as Canvas programs like Belga Sport and Nonkel pater and documentaries like Geel, Back to Siberia, the court and in god's name. Blot & Speren (and the rest is history) best humorous format (non-scripted comedy format) in April 2015 at the C21 Media Format Awards.